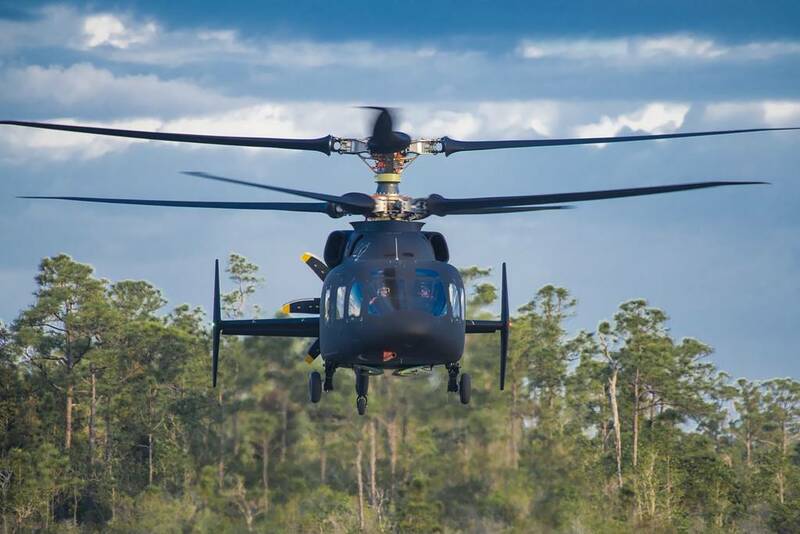 Sikorsky-Boeing SB-1 DEFIANT helicopter achieves first flight. 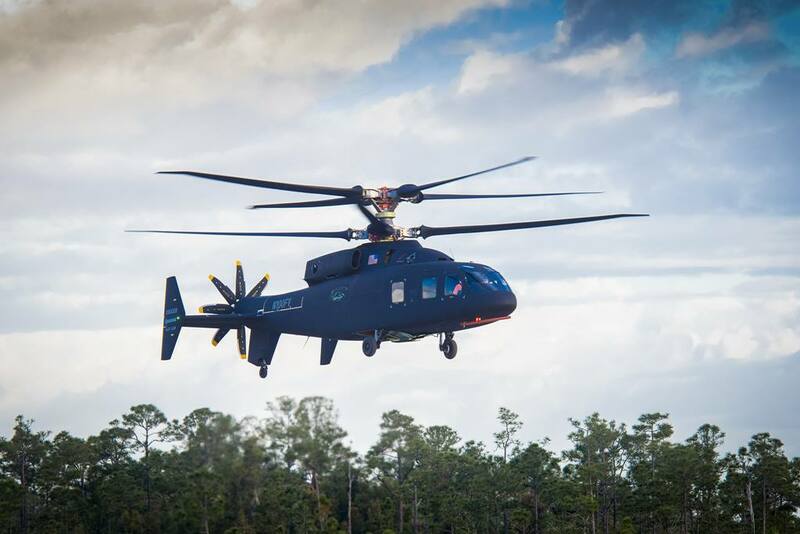 March 21, 2019 - The Sikorsky-Boeing SB-1 DEFIANT helicopter achieved its first flight today at Sikorsky's West Palm Beach, Florida site. It is a revolutionary aircraft, developed by Sikorsky, a Lockheed Martin Company and Boeing, to meet the needs of the U.S. Army's Future Vertical Lift program. With its two coaxial main rotors and rear-mounted pusher propulsor, DEFIANT is unlike production rotorcraft available today. It represents a leap forward in technology to achieve the U.S. government's desire for vast increases in speed and range, while improving maneuverability and survivability in a cost-effective way. DEFIANT aircraft's use of X2 Technology will allow the Army to penetrate from strategic standoff and exploit gaps created in complex Anti-Access Area Denial systems against near-peer adversaries. X2 Technology is scalable to a variety of military missions such as attack and assault, long-range transportation, infiltration and resupply. DEFIANT is the third X2 aircraft in less than 10 years.